October 25, 2017 – Durham, N.C. – Bull City Learning is pleased to announce three recipients of Next Generation Immunization Training grants. The grants fund innovative training and capacity building solutions that will strengthen national immunization programs in meaningful and measurable ways. 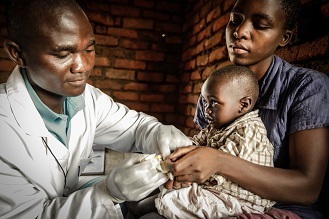 Nearly $900,000 has been awarded across 18 months to support the development and implementation of creative strategies deployed by grant recipients to motivate and educate immunization professionals, including health workers, EPI managers, and logistics specialists. “The global community has set aggressive goals for increasing immunization coverage that will require more effective learning strategies,” said Nathan Pienkowksi, PhD, Bull City Learning co-founder and head of instructional design. The Next Generation Immunization Training Grant recipients include Erasmus MC, JSI Research & Training Institute, and VillageReach. understanding and retention of information for key focus areas identified by in-country EPI managers. strengthen the immunization services at public health facilities in western Kenya by leveraging the demonstrated competence of frontline nurses within a peer mentorship program to effectively teach and reinforce critical immunization skills and processes. This formalized, face-to-face peer mentorship program will be supported by WhatsApp groups to strengthen networking and communication among nurses. VillageReach’s “Interactive User Guide for Cold Chain Technicians” initiative will focus on improving cold chain equipment performance and uptime through the development and launch of an interactive preventative maintenance and repair application for use by cold chain technicians in Malawi. The user-centered application will supplement existing training efforts of cold chain technicians with hands on, practical training and an innovative user guide to serve as a job aid. setting, which may ultimately bring effective immunization training solutions to other high-need regions. “We look forward to working with these excellent grantees and seeing the positive impact their innovations will have on capacity building strategies that achieve immunization program goals,” said Pienkowski.